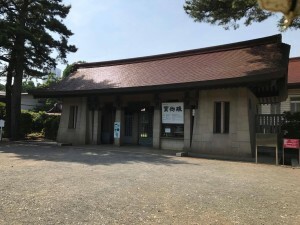 Meiji-jingu Shrine was built in 1920. It will be 100 years old in 2020. 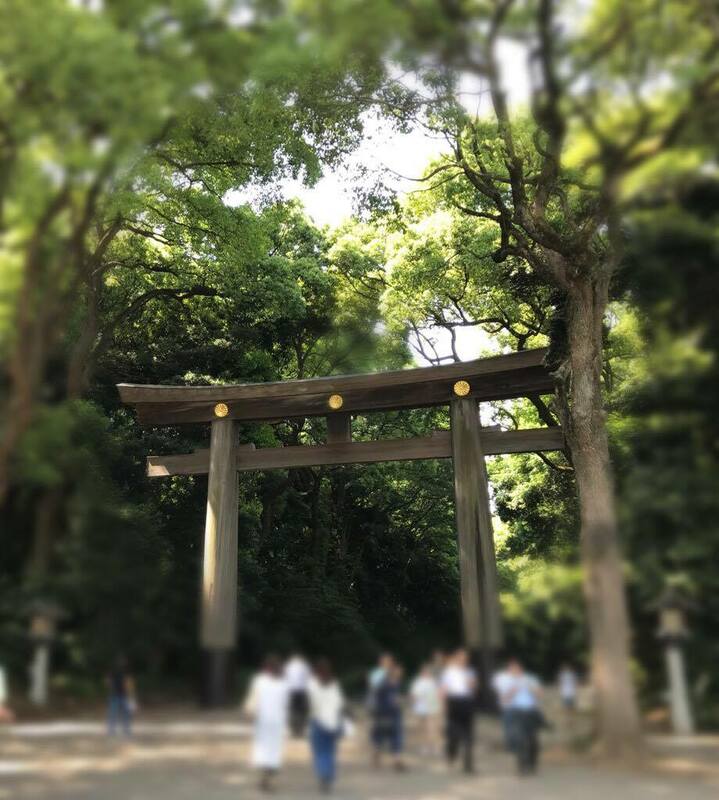 It is one of the five highest ranked shrines in Tokyo. 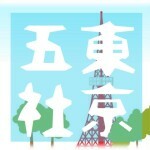 *It is called “Tokyo-top five shrine”, “Tokyo-gosha-meguri(東京五社巡り)” in Japanese. Meiji-jingu Shrine was built as offering to Emperor of Meiji and his Empress. 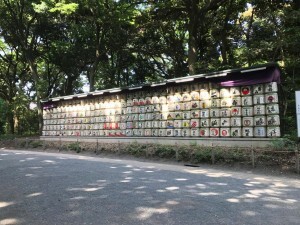 They strongly supported world peace, so this shrine is one of the representatives of world peace. The number of visitors of this shrine is the biggest in Japan. It was chosen as the best place in Tokyo by 2017 Michelin Guide. Omotesando is known as the one of the busiest shopping streets in Tokyo. 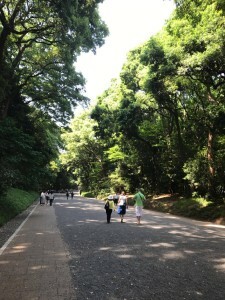 Ometesando is the main street leading towards Meiji-jingu Shrine. 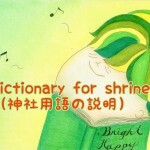 “Omote”(表) means “face or front” and “Sando”(参道) is “the main path to a shrine or temple”. 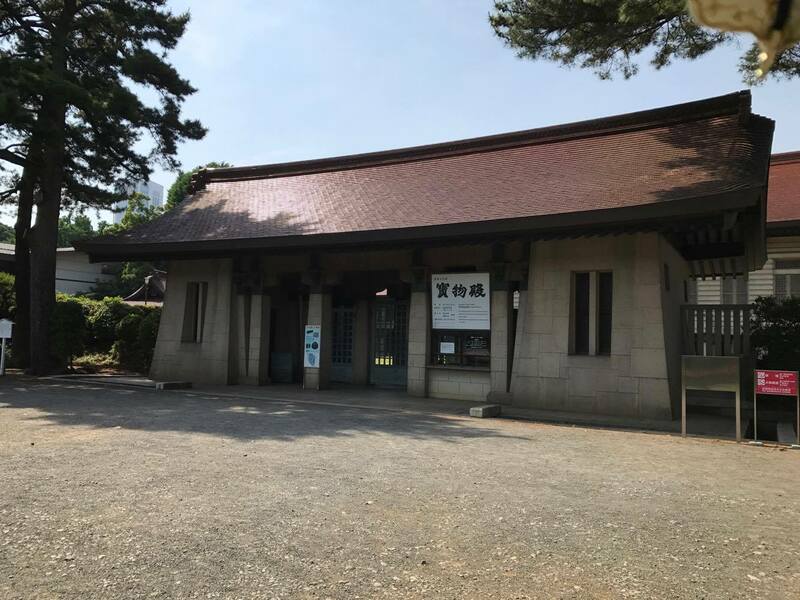 The place where the shrine is located is the hot spot of energy. It is called “Ryu-ketsu”(龍穴) in Japanese. “Ryu-ketsu” is a geyser of energy flowing underground. There are a number of invisible energy flows underground, called “龍脈” in Japanese. They are like blood vessels in a human body. What kind of power can we feel here? 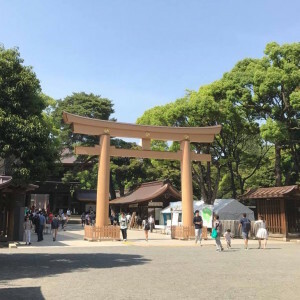 Let’s explore Meiji-jingu Shrine! The god is Emperor of Meiji. He was the 122nd Emperor of Japan. He devoted himself to lead Japan to modernization. And the goddess is the Empress. She supported and encouraged modern education systems. And she is also known as the first lady who wore Western style clothes in Japan. 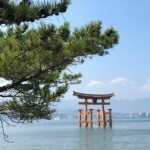 At the South entrance, there is a huge eye-catching wooden Torii. 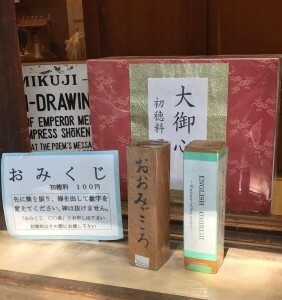 It is made of 1500 year-old white cedar. And it is the biggest wooden shrine gate in Japan. There are three entrances, North, South and West. It is also said that walking through the huge gate and the South path is good for matchmaking. 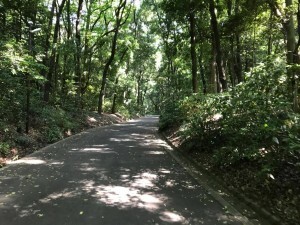 The vast forest spread in the area of the shrine. At the establishment of the shrine, people aimed to grow up the plants and trees into the natural deep forest through 100 years. 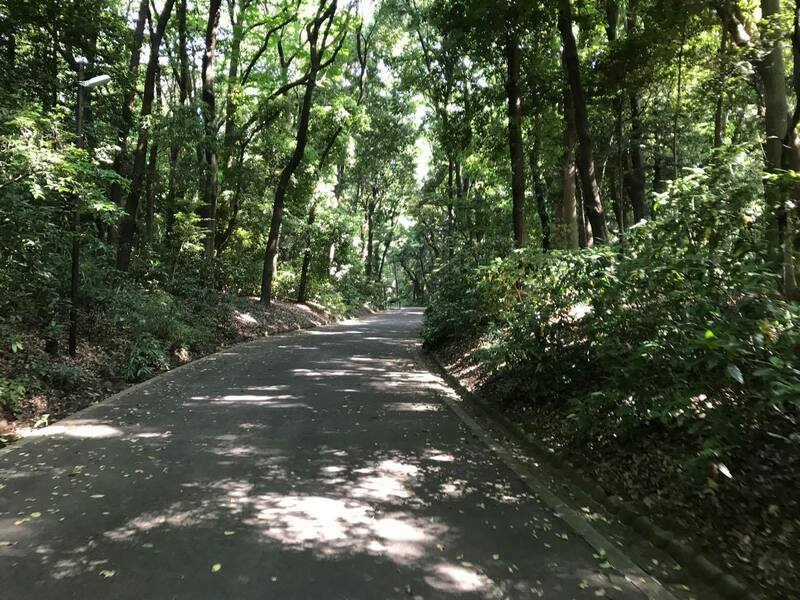 Now it has already become natural deep forests. It is said that because the place is “Ryu-ketsu”, an energy geyser, it promoted the plants to grow rapidly. It is refreshing for us to walk through the forest. 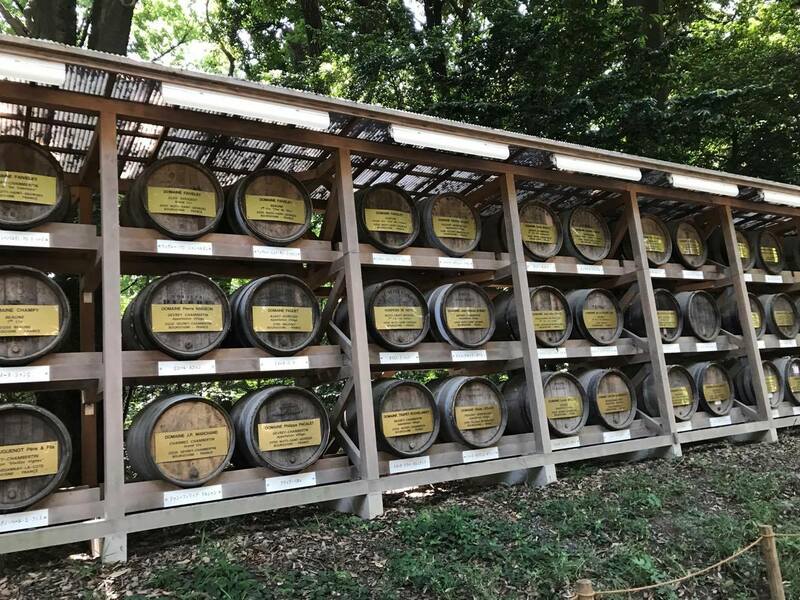 You can see a great wall of empty Japanese sake barrels. 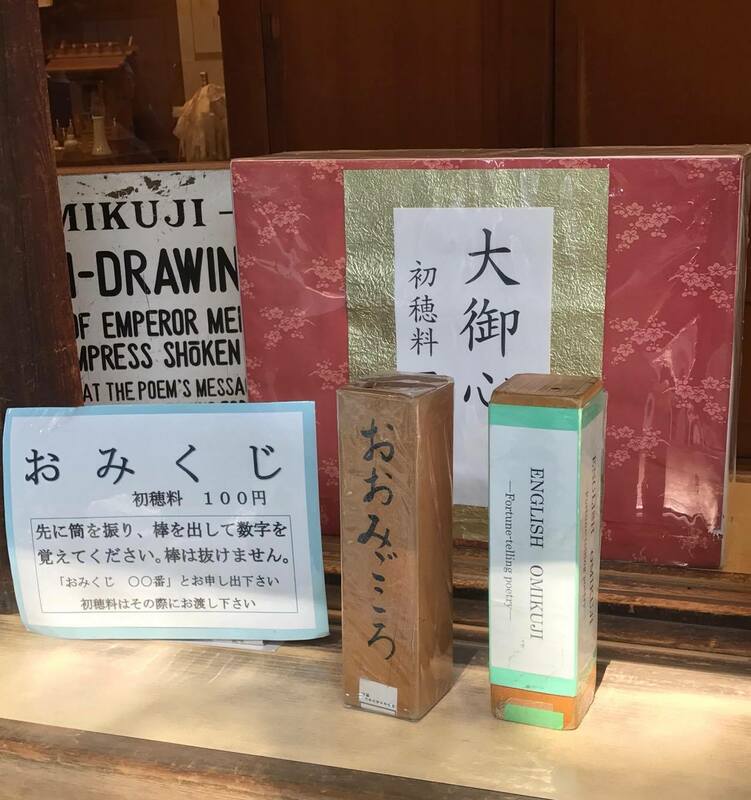 The Emperor Meiji loved Japanese sake. 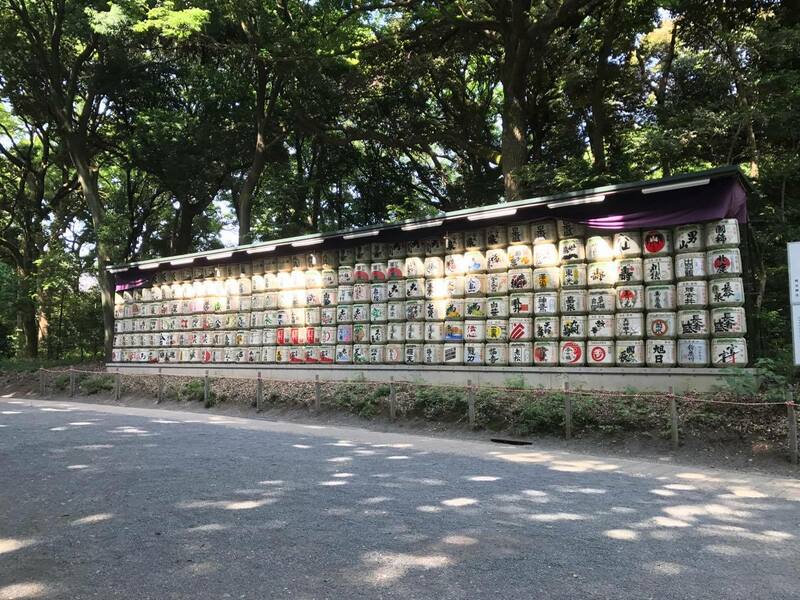 So those barrels were dedicated to the shrine from all around Japan after the death of Emperor Meiji in his memory. 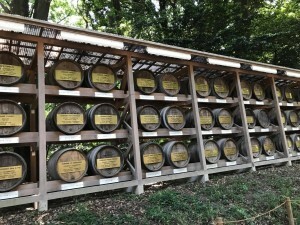 You can see not only sake barrels but also wine barrels. 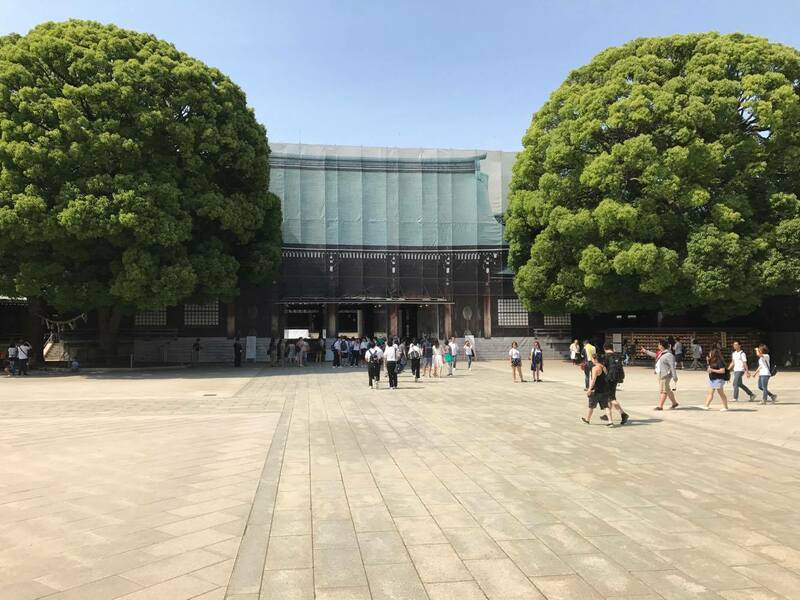 You will see a pair of huge camphor trees. 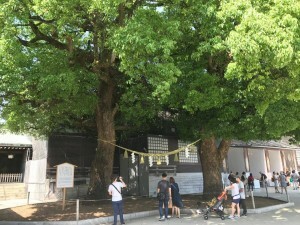 It is called “Meoto-kusu(夫婦楠)”, husband and wife trees. There is a building near them, and if you offer a prayer toward the building through the trees, you will be granted the good fortune of matchmaking. Please keep your hands off from the trees. Thank you. When you go inside more, you can see the treasure house. In fact, the area around the treasure house is the greatest spiritual place. You will be given powers to clear your way and goals in your life. 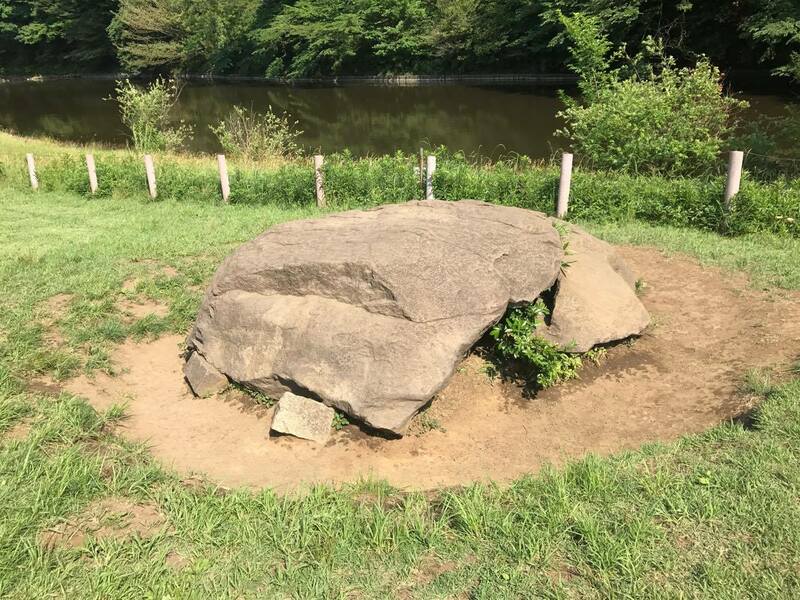 The stone is on the lawn in front of the treasure house. It is called “Kame-ishi”, a stone of tortoise due to its appearance. It is said that a strong spiritual power flows from the stone. You should touch it for yourself, you’ll be amazed by its warmth. Pure water springs from the well. Kiyomasa is the name of one brave soldier from olden times, 1562-1611. 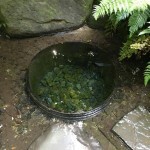 The well and the place around it are said to have been designed from the spiritual point of view. It is said that when it’ sunny, the power around there becomes stronger. On the other hand, when it’s rainy and dark, the power works negatively. It’s important to visit there during good weather. There is a beautiful iris field in the shrine. 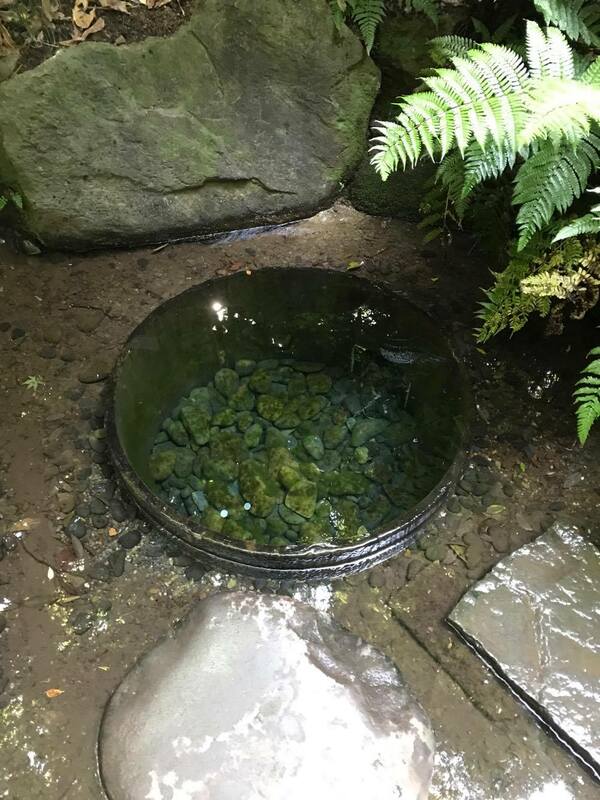 The water comes from the well of Kiyomasa. 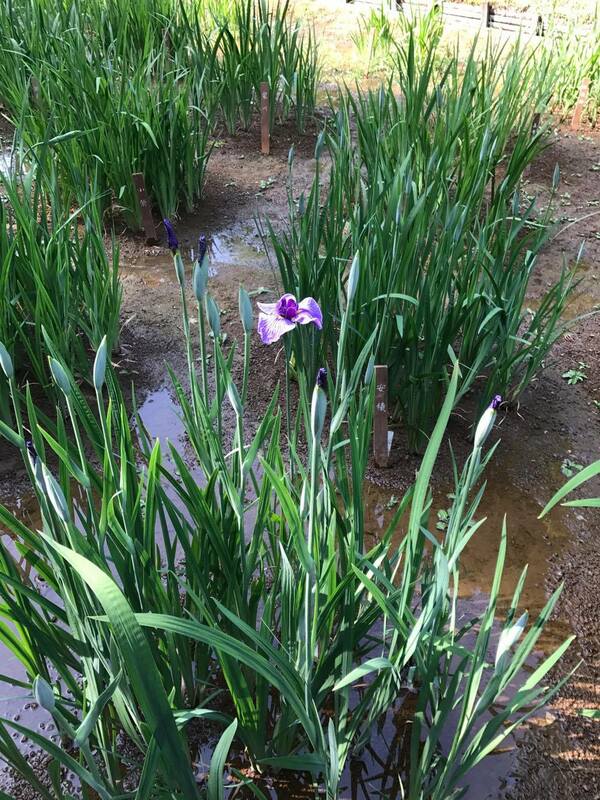 In June, you can see the breathtaking scenery of irises in full bloom. You will purify yourself by just walking through the field. It is also said that you will be given a good inspiration there. Why don’t you come when you are at a loss in your life? You can buy a good luck charm. That is said to be good for matchmaking. The color is gorgeous and shape is cute, isn’t it? 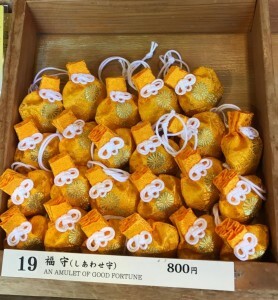 You can enjoy a fortune slip at any shrines. 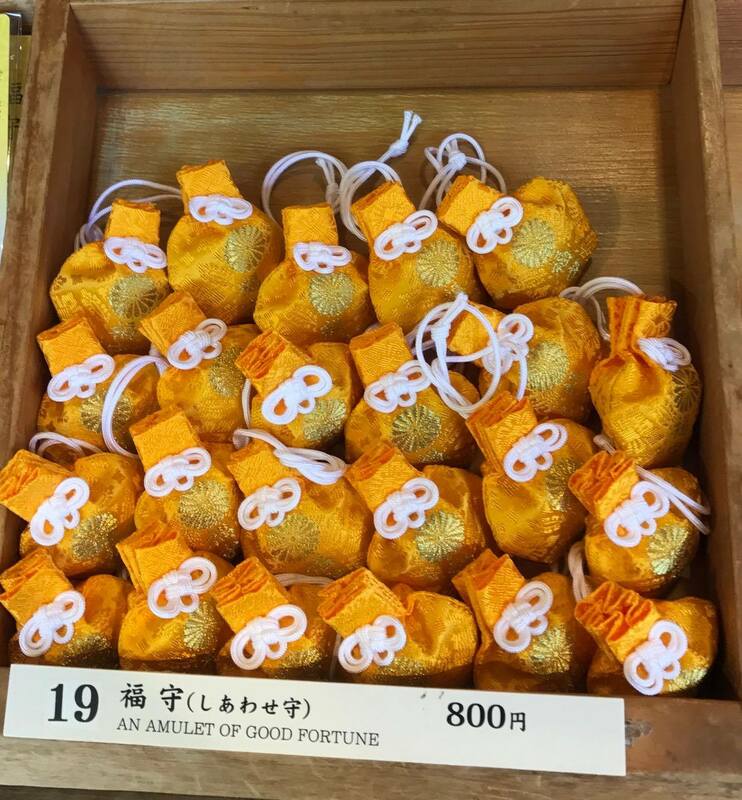 But fortune slips at Meiji-jingu Shrine are special. Usually, good or bad luck is written on the slips. 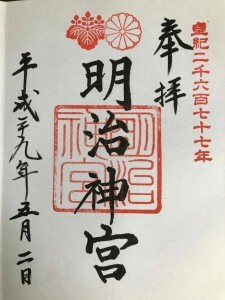 But, the “tanka poetry” made by the Emperor and Empress is written on each slip. The meaning of those poetries will tell you some tips to live your life. You can purify yourself by just visiting the shrine. I strongly recommend visiting this shrine to those who want to clear their vision in their life, and those who want to find their soul mate. 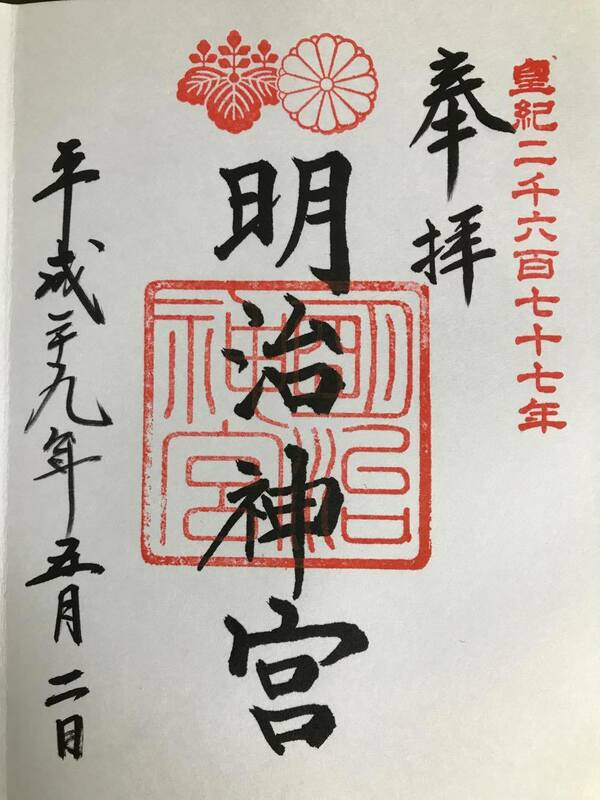 Please enjoy not only the beautiful scenery of shrines but also the divine spiritual power of the gods and goddesses of each shrine. 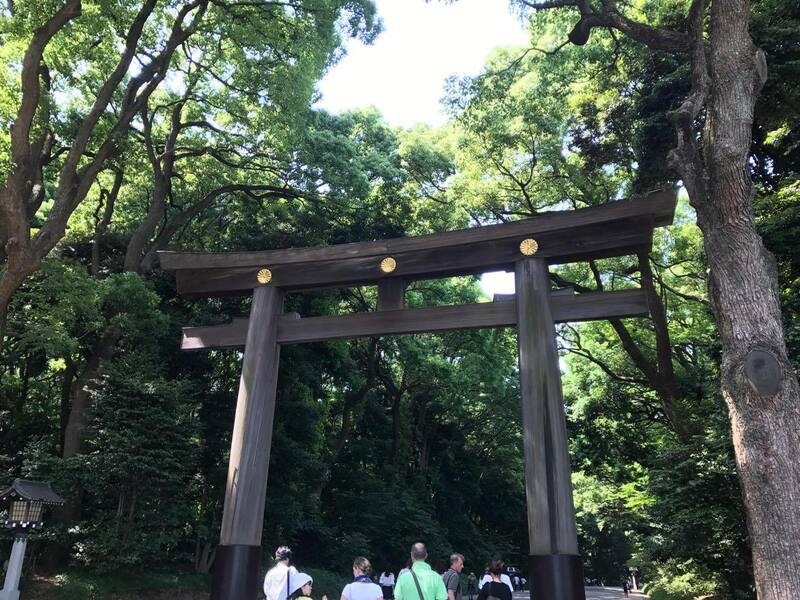 You can enrich yourself with visits to Japanese shrines. Copyright © 神社マニア All Rights Reserved.